I’ll explain why later in this post, but as part of our poultry keeping kit I felt the need for a very precise set of scales. Something like a laboratory balance. And indeed I eventually found exactly what I was looking for on eBay. But imagine my surprise when I first did an eBay search to find around two and a half thousand sets of precision scales for sale. 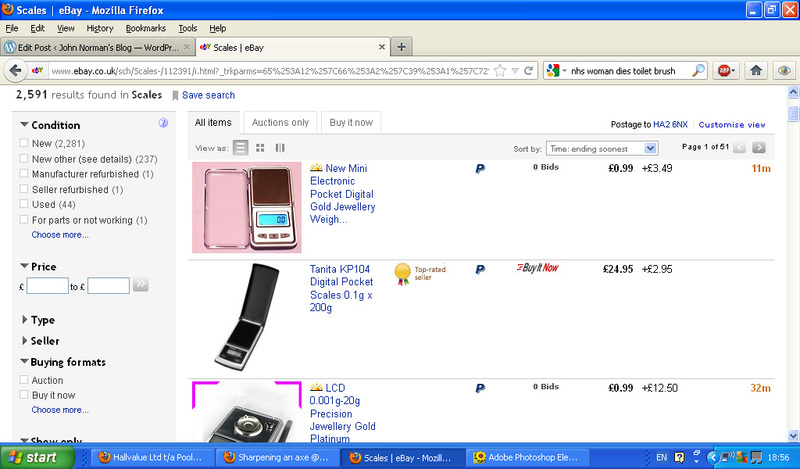 There couldn’t be that high a demand for weighing jewellery, lab samples, and suchlike, surely? This is a slightly sad posting on two counts. First, after the early hatch of three ducklings, we had no more. 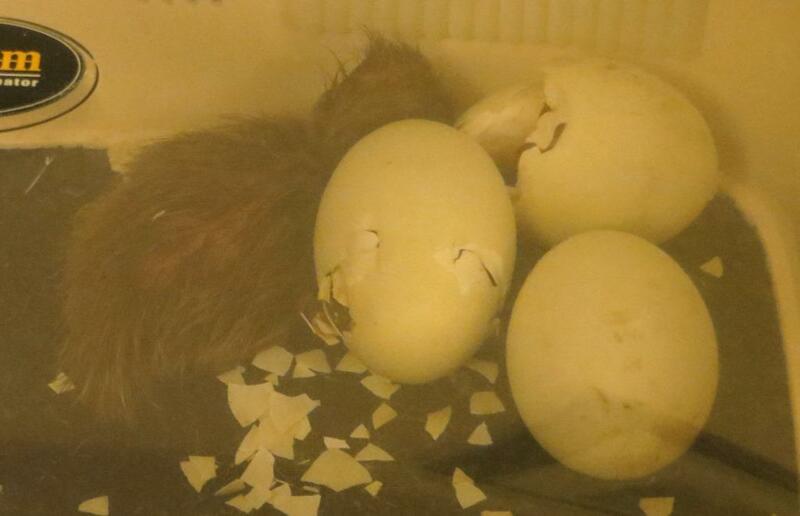 Two more eggs pipped, and one of those almost made it, but the remaining five just didn’t start to hatch. I’ve asked advice on the specialist forums, and it may be that the humidity levels programmed into the incubator were insufficient. Second, we’ve had to hand them over to their owner. It’s inevitable that you get sentimentally attached to cute fluffy creatures, even ones as messy as ducklings! Three ducklings had hatched by this morning. A fourth had started to emerge, but sadly it looks as if it hasn’t made it. Six eggs to go. 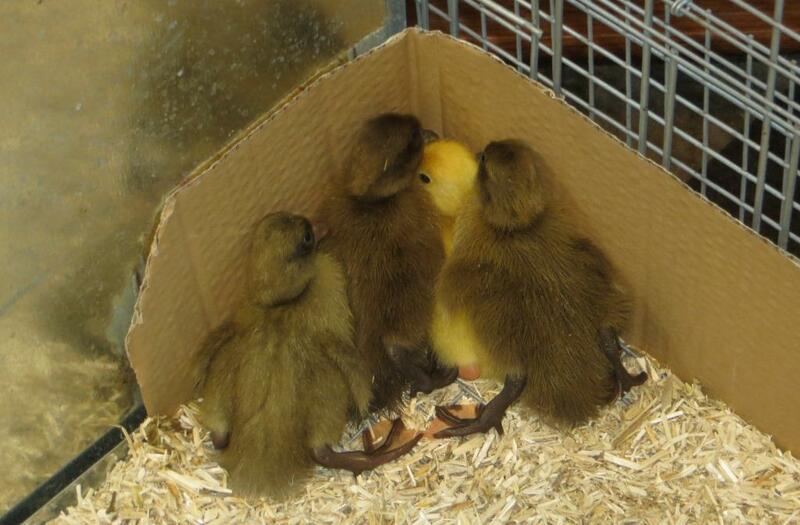 We transferred the three into the brooder under the nice warm electric hen. They are much less lively than the chicks we hatched a month ago. They didn’t take much interest in the food and water until later in the day, and they don’t scamper about as much. Maybe that’s just one of the differences between chickens and ducks! 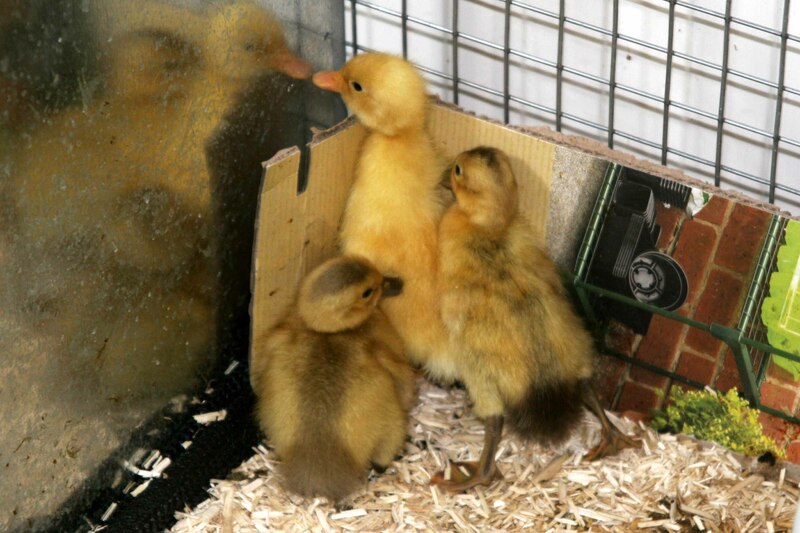 Here they are earlier on, huddled in the corner because I’d briefly lifted the electric hen for a photo opportunity. I mentioned that we were incubating some duck eggs for a friend at the allotments. Duck eggs take a whole four weeks to hatch, and the exact due date is 6pm tomorrow evening. The first one has arrived a day early. 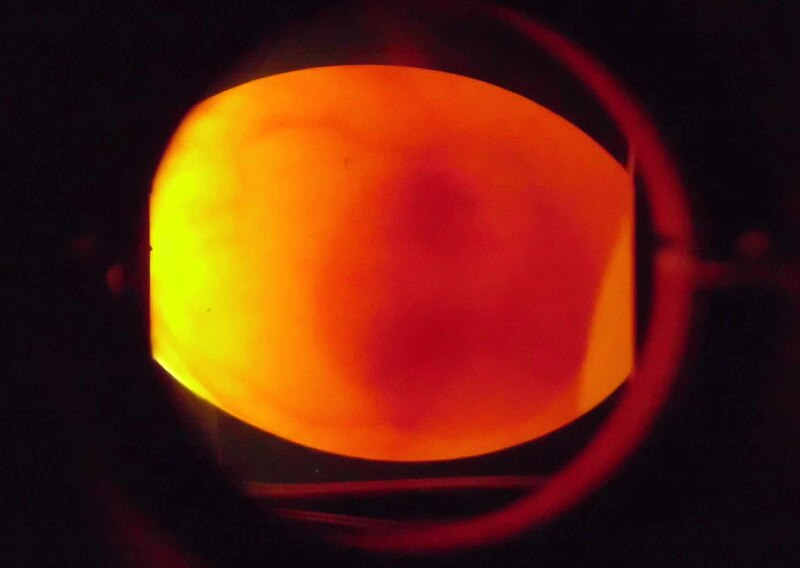 We candled the ten duck eggs that we’re incubating on behalf of our friend Salvador. To our great delight, all ten are fertile and developing well. You can just about see the embryo and the web of veins that extends around the yolk. 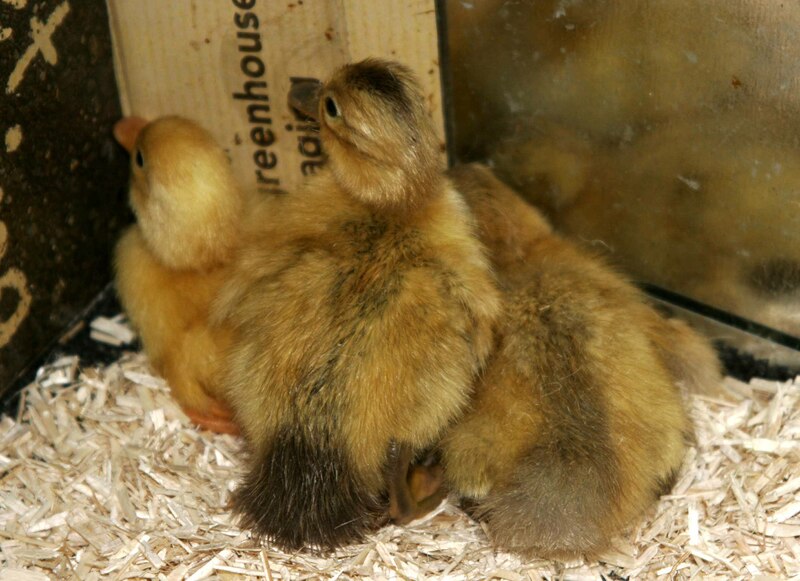 Duck eggs take 28 days to hatch, and today is day 8, so the hatching date will be Sunday 22nd April.